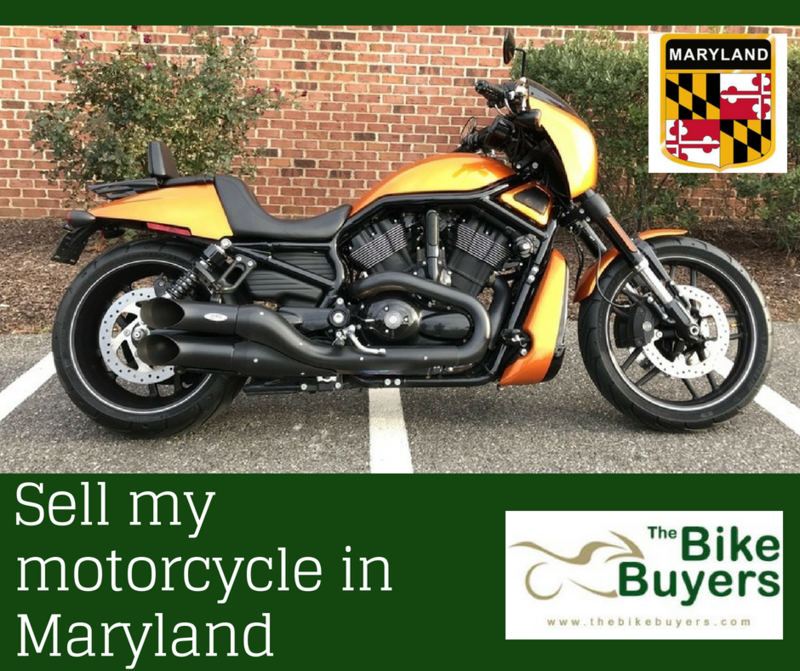 For selling your motorcycle in Maryland for cash there are many companies working in Maryland. You have to choose best of them, which can make a better deal for you. For avoid searching for best companies, I suggest you to come to TheBikeBuyers. We offer for the best price for your motorcycle. Sell any motorcycle, sports bike, ATVs to TheBikeBuyers. Simplest way to get offers is you have to fill our online Get a Quote form or you can also make a phone call to TheBikeBuyers customer representatives on the following number 877.751.8019. You should not to worry if your motorcycle is junked, damaged or scraped, because you can sell all these types of motorcycle to TheBikeBuyers.com and get cash for it. After filling our form you can get detail of our business. We are BBB rating customer service provider nation wide in USA. We works on the basis of customer’s satisfaction.